ROSCOE VILLAGE — With the opening of the 606/Bloomingdale Trail under the city's belt, the wheels of bureaucracy are now grinding slowly forward on a proposed off-street bike path that would soar over the Chicago River and ultimately connect a string of parks along the water from Belmont to Montrose. On Wednesday, the Chicago Park District Board of Commissioners voted unanimously to approve a lease agreement with the Metropolitan Water Reclamation District, which owns the property needed to develop the trail between Clark Park at 3400 N. Rockwell Ave. and California Park at 3843 N. California Ave. 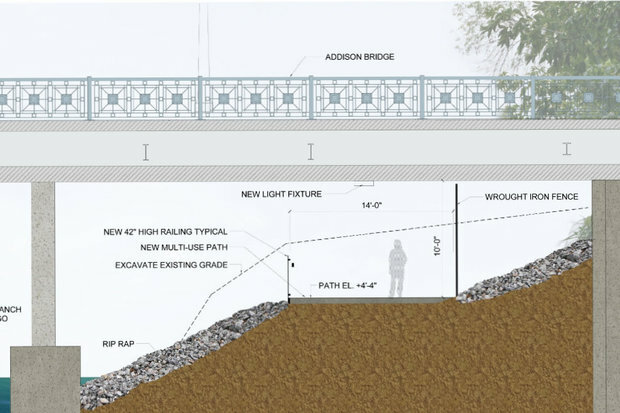 The Chicago Department of Transportation would manage construction of the path — dubbed, for the moment, the Addison Underbridge Connector. Work could begin in spring of 2016 and wrap up by fall 2017, Rob Rejman, director of planning and development for the Park District, told the commissioners. 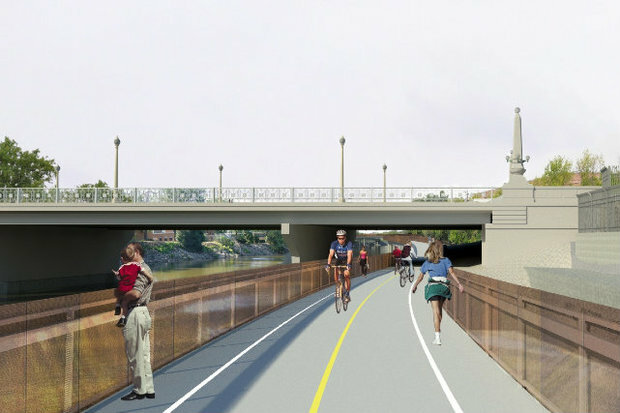 Plans for the path, expected to be used by cyclists, joggers and pedestrians, date back at least to 2010, according to former Ald. Eugene Schulter (47th), and were presented in final form to the public in December 2012. 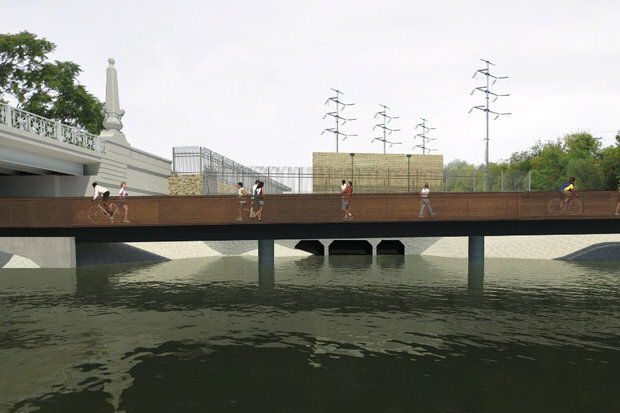 When completed, the trail would measure nearly two miles long and hover at points more than 16 feet above the water. 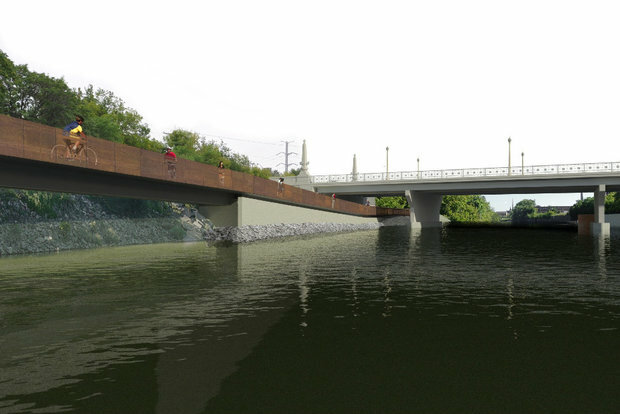 An underpass at Addison Street and a new bridge over the river to California Park are also part of the project. Additionally, the trail would take advantage of a separate project to reconstruct Irving Park Road, effectively extending the path north to Montrose Avenue via Horner Park. 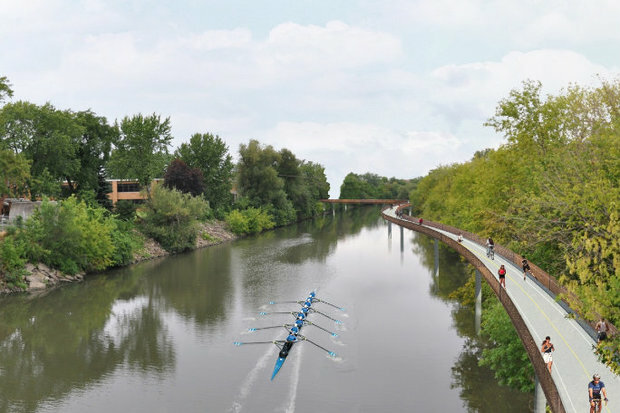 The lease agreement notes: "With a safe and secure connection between Horner, California and Clark Parks, access to these parks is substantially enhanced and will reintroduce the river to thousands of Chicago residents."